Why Term Insurance is crucial for Investment Portfolio? Home Insurance Why Term Insurance is crucial for Investment Portfolio? Term insurance falls under the category of life insurance in which insurance is provided under a fixed rate for a fixed period of time for a proper term. Once it is expired, the policy no longer remains under the previous rates, and the beneficiary has to further go for more coverage plans with a plan of different payment conditions altogether. Term insurance is said to be the most affordable way of getting life insurance with proper claim coverage. When a person fills up the policy, the beneficiaries selected for the claim are of utmost importance. 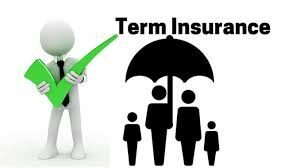 Term insurance is clearly a death benefit insurance which promises to pay the claim money for the children education, funeral cost, and retirement of the elderly or future plans of the family. 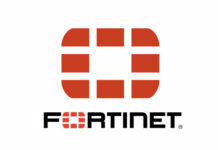 The future gets much secured with term insurance. The most convenient way of term insurance is for a time duration of one year. This means if the bearer dies within the period of 1 year, the claim would be provided to the family or the beneficiary people. Even if the bearer dies after one day when the policy period is over, the insurance claim is not provided as per the conditions of this insurance policy. A term called ART which means Annual Renewable Term can get itself renewed automatically for the fixed amount of years after the insurance expires after a year. Guaranteed term insurance which states that the insurance amount will remain the same for the entire time duration of the insurance. But in non-guaranteed insurance, the rate might increase after some years which are usually after the first 10 years of the policy date. Annual Renewable Term Insurance is termed as insurance which secures the future for a certain period of time. However, the money is paid every year as generally, but the rates get increased as there is an increase in the age of the person. Return of Term Insurance promises to return some fixed amount of money to the policyholder in case the policyholder survives any accidents or mishappenings. Hence the premium is returned to some value. Decreasing of Term Insurance says that as the age of the person increases, the premium will be decreased. It can be either monthly or annually. Term insurance plans are the best and easier to understand. The plan which occurs under term insurance policy combines both savings as well as premium amounts of the policy. When compared to a cash value policy, a term policy is always a good option. It not only gives benefits after the death but some plans also give the benefits of survival. Tax benefits are provided as an individual gets income tax rebate with respect to the policy. It is dependent on various factors such as how good a company is, what kind of premium does one want to spend in, which is the approximate cover a person expects, comparison of various term insurance provider companies with respect to their conditions. Once a person is 18 years, he can get term insurance for himself. A nominal term insurance plan can also be converted to a lifetime insurance plan in which the premium will be automatically covered for life, for about 100 years. In case a person misses to give the premium in a specific month, the service providers generally give an extra time of 30 days as grace. If a person wants to surrender the term insurance plan, nominal charges are deducted, and the person can exit the plan. Why buy Term Insurance in April?